The original dolphin single rod holders were created to hold 1 rod and adjustable every 45 degrees. The single rod holders will clamp to your T-Top, hardtop, tower, radar arch, rail or any structure made from 2 inch, 1.5inch pipe. 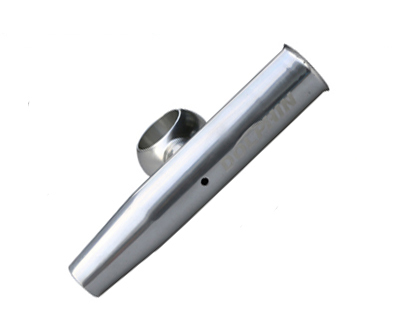 The original dolphin twin rod holders were created to hold 2 rods and adjustable every 45 degrees. 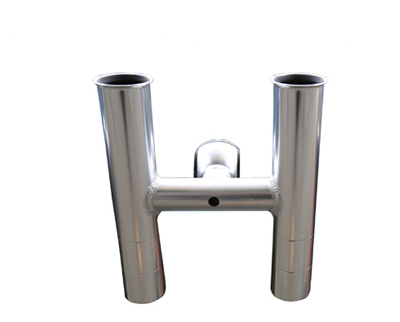 The twin rod holders will clamp to your T-Top, hardtop, tower, radar arch, rail or any structure made from 2 inch, 1.5inch pipe. 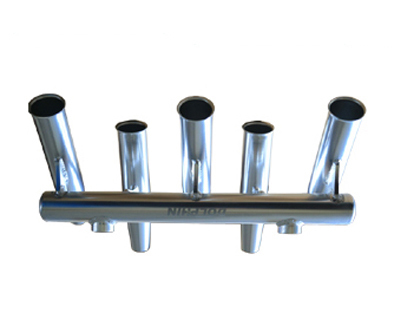 The original dolphin 5 rod holders were created to hold 5 rods. The 5 rod holders will clamp to your T-Top, hardtop, tower, radar arch, rail or any structure made from 2 inch, 1.5inch pipe. Can be mounted to vertical or horizontal rails - Adjustable for rails 25mm (1") to 32mm (1-1/4") diam. Ideal for fishing boats with rails, where gunwale space may be limited. 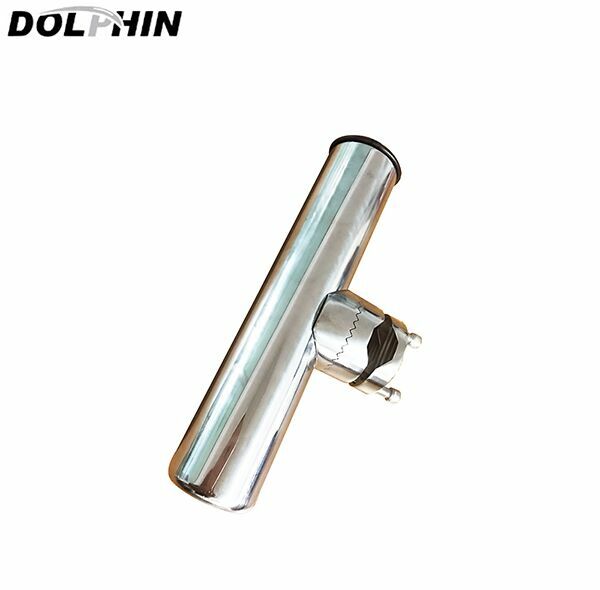 Rubber insert to protect your fishing rod from any wear against the stainless surface.Attn: It can fit Dolphin SS pro plus t top only, if you buy other Dolphin t top,please do not buy this rod holder to match your t top!